Many books offer tips on enhancing your payer life…but they leave you adrift when it comes to actually praying. 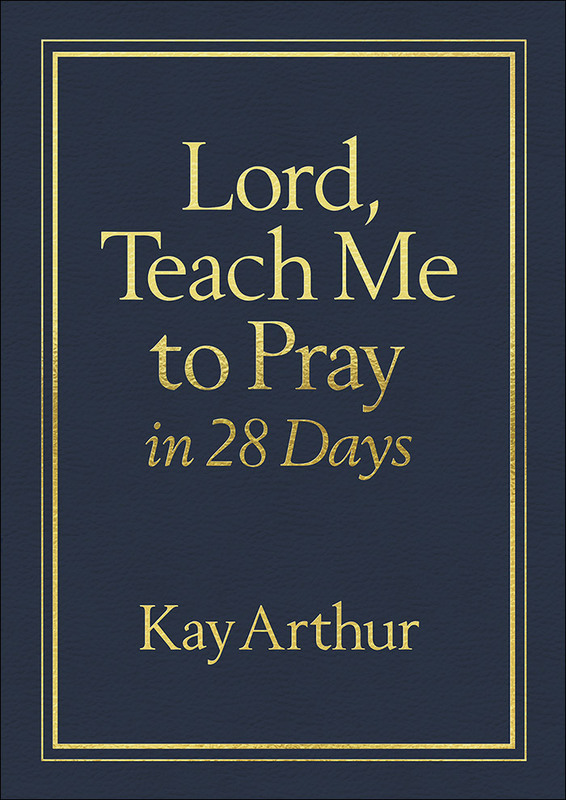 In Lord, Teach me to Pray in 28 Days, Kay Arthur provides intensely practical insights into the Lord’s Prayer—the pattern Jesus gave His disciples and all believes. Now you can know how to pray, what to pray, and what to expect when you pray. Discussion questions offer the opportunity to think or talk things over as you learn. Discover Jesus’ simple and powerful example in a new way. Let it begin to transform the way you pray—and live—today! "Not just another book on prayer, but a study of Jesus' response when the disciples asked, 'Lord, teach us to pray.' Arthur helps readers dig into the Lord's Prayer (Matthew 6:9-13) sentence by sentence and learn its pattern for prayer. Based on biblical truth, this valuable 28-day study can be used alone or in a group. But mainly, it's meant to apply." "So many books on prayer offer techniques and tips about enhancing prayer life but leave the reader adrift when it comes to actually praying. In Lord, Teach Me to Pray in 28 Days, Kay Arthur goes right to the ultimate role model and expert on prayer: the Lord Jesus Christ. When the disciples asked Jesus to teach them how to pray, He said, 'Pray, then, in this way.' In the five short verses that followed, affectionately known as the Lord's prayer, Jesus gave Christians an inexhaustible rich outline that enables us to transform the way we pray...and live. 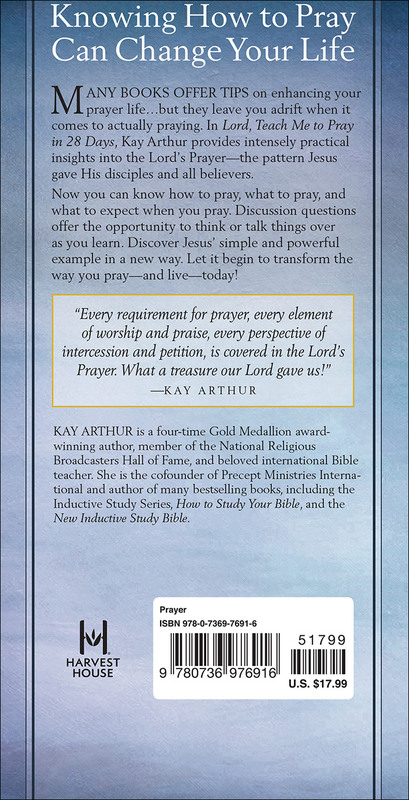 Kay Arthur writes 'The Lord's prayer is a collection of index sentences, covering every element of prayer. Therefore, when you follow sentence by sentence, principle by principle you find yourself covering every possible aspect of prayer. Every requirement for prayer, every element of worship and praise, every perspective of intercession and petition is covered in the Lord's prayer. What a treasure our Lord gave us!' Lord, Teach Me to Pray in 28 Days is sure to inspire a new confidence, hope, and joy in every believer who longs to enrich his or her prayer life and deepen his or her faith." "Arthur never writes over the readers' heads. She presents her message in a clear, easy-to-understand manner. Lord, Teach Me to Pray in 28 Days is an excellent study guide. It could successfully be used for individual or small group study."